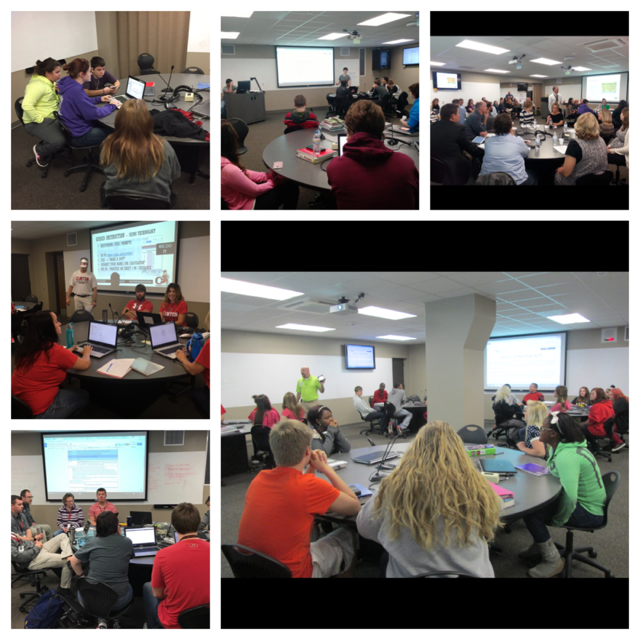 An Innovation Classroom is a classroom fitted with advanced technology that allows students to work collaboratively both in and outside of the classroom. The Innovation Classroom creates the setting for relevant, authentic learning situations where students are posed with real-world issues and problems. These learning situations stimulate critical-thinking and problem-solving within a deeply collaborative and highly motivating learning environment. Teaching in this classroom is different because the teacher acts as a facilitator and a resource for students who are responsible for their own learning. Currently, students at Clinton High School and Clinton Middle School are experiencing this type of teaching and learning. Please watch a short video on Innovation and Collaboration at CHS!